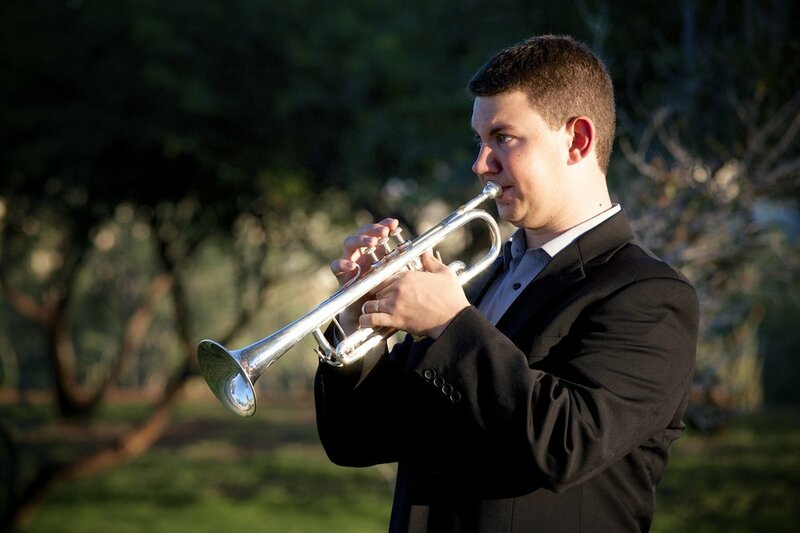 The ability to play in the upper register eludes many young trumpet players and frustrates their teachers. Most people would consider this skill to be “difficult,” but I want to change the way in which we discuss and approach the upper register. Rather than referring to high notes as “hard,” “challenging,” or “difficult,” I advocate a philosophy where the upper register is simply unfamiliar. Many students shy away from practicing in their upper register because it is uncomfortable to do so. When students do have to play in the high register, they tend to play with too much pressure, tension, and a lack of air support. This blog post presents a practical approach to building a healthy upper register. The secret to success in the upper register is through an efficient embouchure combined with an efficient oral cavity. To begin playing with easy flexibility, a great sound, and a solid high register, doing lip bend exercises is essential. Lip bends can be used to help with a variety of issues on the trumpet, from enhancing tone quality to improving endurance. There are two purposes of lip bends: 1) Getting the player to pucker their lips forward, creating an embouchure that is efficient and 2) Creating a "vowel shape" that compresses the air correctly. It is worth it to invest some time learning how to make a buzzy, efficient lip bend. It is not enough to simply bend a pitch down a half-step and call it a productive practice session. Lip bends help the most when inserted into other exercises (such as lip slurs, scales, and arpeggios), as well as into repertoire. Tip: Look for half-steps in your trumpet players’ music and have them play it as a lip bend (as long as it’s around the middle register). After just a few weeks of concentrated work on lip bends, I’ve seen students play with an easier upper register, better tone quality, improved endurance, and cleaner articulation. Start off by attempting a glissando from a middle G to a low C. You should lean into the gliss and have it last as long as possible. This is an easy exercise that all students can do, and it will begin the familiarization process of bending a pitch. From there, bend down from a G and hold onto that pitch (hopefully an F-sharp). Then, bend from G-F#-G. I strongly advise having them play the bent pitch with the valve first to hear the desired tone quality and pitch. Next, use this sequence of exercises to show students how to use lip bends in their pursuit of a healthy upper register. Incorporate lip bends into lip slurs and scales first to see immediate results. In no time, you will be able to slur up to notes you might have never played before. Tip: Vincent Cichowicz’ famous long tone studies are perfect for adding lip bends. I would suggest using these or similar exercises (that begin with a descending half step) for warm-up material before a practice session or rehearsal. It will help you begin your session with a healthy approach to the upper register. Lastly, you can use this exercise to check if you are able to start a note with a perfect embouchure. The previous exercises emphasized forming a puckered embouchure after bending down from the original pitch. In contrast, this exercise has you playing a bent note straight away. I use this as a diagnostic test to check if my students are setting up with a good embouchure. The bent note should have the same articulation and generally should sound as similar as possible to the preceding note. This exercise is my favorite because it emphasizes setting up perfectly every time. Good habits in the upper register form when students learn how to play with a good embouchure in the more familiar registers. Lip bends, if done right, can make the upper register “easy” or familiar for you or your students. When you play in the upper register with the right embouchure, both the pitch and tone quality are improved. After doing these exercises for a while, you will feel begin to feel comfortable upstairs, and sound great no matter what register you are playing in. Hopefully this was helpful information. Please feel free to contact me directly with questions, or for additional lip bend material.